Slovenia's main international airport, is situated about 25 kilometres north of Ljubljana. The airport is well connected with the major European cities. Media representatives are advised to use the regular transport services to and from the airport. The journey by bus takes approximately 45 minutes. Tickets can be purchased on the bus or at the bus station. For further information call: 090 4230 or visit Ljubljana Bus Station website. The airport is also linked to Ljubljana by a shuttle service. The journey time is 30 minutes. Tickets can be purchased on the bus. During the informal ministerial meetings held in Slovenia a special shuttle service will be organised between the Airport and Brdo Conference Centre/Press Centre. Please check at the Presidency Welcome Desk in the Arrivals Hall. 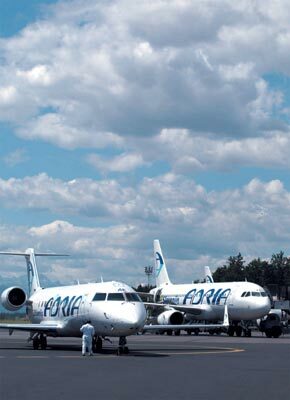 Maribor Airport is located in Slivnica, only a few kilometres from Maribor. 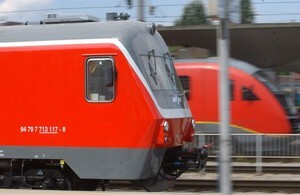 There are regular rail inland and international connections and many attractive offers for private and official train journeys. Train timetables, information on service points and online booking are available in English on the Slovenian Railways' website. There is a comprehensive network of local bus services connecting Ljubljana with other towns and cities in Slovenia. Timetables and other information can be found at the Ljubljana Bus Station website. You can reach Slovenia via Italy, Austria, Hungary or Croatia. The Slovenian Highway Code is in line with European standards; however, there are some specific regulations a visitor should know. All motor vehicles must have their headlights on when travelling on all roads, even in daylight. Fog lights can be used when visibility is reduced to less than 50 metres. Foreign drivers are recommended to carry a spare set of light bulbs for their vehicle (compulsory for residents). From 15 November to 15 March and outside these dates during winter weather conditions (e.g. snow, black ice, etc.) all cars and vehicles up to 3.5 tonnes must have winter equipment, i.e. winter tyres on all four wheels, or summer tyres on all four wheels, and carry snow chains. In both cases, the minimum tyre tread depth must be 3mm. Permissible blood alcohol levels are 0.5 g/L for drivers of private cars or motorcycles and 0.0 g/L for professional drivers. Visa requirements must be met before arrival in the Republic of Slovenia. In order to arrive on time, it is advisable to apply for visas at the earliest possible opportunity. 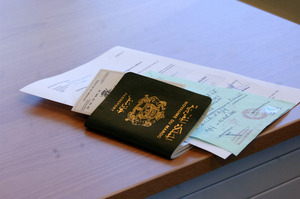 Please note that media representatives from countries requiring a visa have to apply to a diplomatic or consular mission of Slovenia or to a diplomatic or consular mission of a member state of the Schengen Agreement that represents Slovenia and is competent to grant a visa if Slovenia does not have a mission in the applicant's country of residence. For further details and a list of nationalities requiring a visa please visit the Ministry of Foreign Affairs website. The Internet pages of the Customs Administration of the Republic of Slovenia provide information on the importation of alcoholic beverages and tobacco products, restrictions applying to pharmaceutical products, plants, firearms etc. The ATA Carnet is an international customs document that permits duty-free and tax-free temporary import of commercial samples, professional equipment, and goods for presentation or use at trade fairs, shows, exhibitions and similar functions. The web site of the International Chamber of Commerce provides an extensive information on the ATA Carnet. On 1 January 2007 the euro became the official currency in Slovenia, for both cash and non-cash transactions; non-cash payments with credit or debit cards are possible anywhere through POS terminals. Cards accepted for payment are MasterCard, Maestro, Visa, Visa Electron, Amex and Diners. You can also withdraw cash from the automatic telling machines of different banks located across the country. Cash withdrawal is possible mainly with MasterCard and Visa cards. Withdrawals can also be made using Maestro, Cirrus and Visa Electron Plus, where indicated by stickers on individual machines. Banks are open weekdays between 9.00 and 12.00 and 14.00 and 17.00, and some on Saturdays between 9.00 and 12.00. Money can also be changed in exchange offices, at hotel reception desks, tourist agencies, petrol stations and larger supermarkets. Post offices are open from 8.00 to 18.00 on weekdays and from 8.00 to 12.00 on Saturdays. Opening hours of shops are flexible. Some grocery stores are also open on Sunday. As of August 2007, the law prohibits smoking in all indoor public places and work areas in Slovenia. Smokers should use outdoor areas. Electric current in Slovenia runs at 230 volts, 50 Hz. 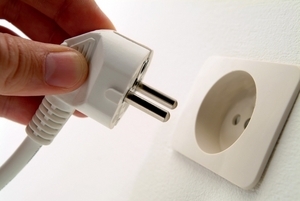 Wall sockets are for two-pin plugs, and adapters can be bought at airports, department stores, hardware stores and specialist shops.